Commercial garages can benefit a business in a variety of ways, from providing storage for inventory to providing a space to park company vehicles. Not to mention, many businesses that transport stock typically have a loading dock, which should have a commercial garage door installation for ease of unloading delivery vehicles. The reality is, a commercial garage is a great investment for various types of businesses. 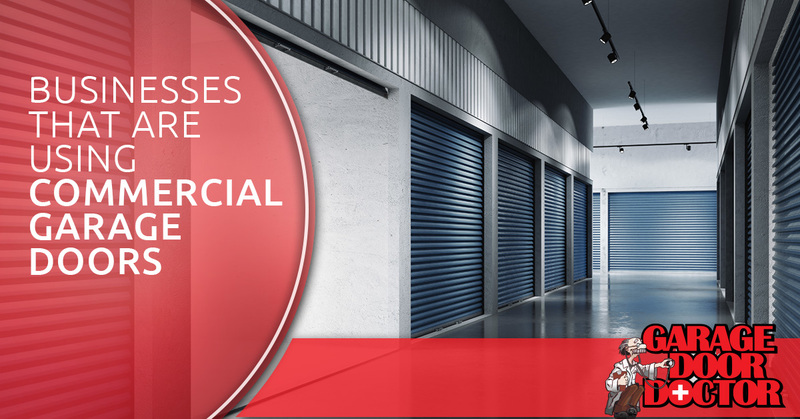 In this blog, we’ll explore certain businesses that are using commercial garage doors. Commercial garage doors are quite different from residential garage doors. 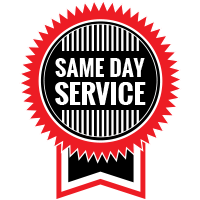 Instead of only opening once or twice a day, commercial garage door systems are constantly operating throughout the day. This consistent use demands better hardware, a stronger opener, and stronger springs. One of the most common commercial garage door applications is an auto repair facility. The commercial doors used in auto repair shops are most likely sectional garage doors, as they are more cost effective. Additionally, sectional doors can be insulated to keep the cold out in the winter, and inside during the summer. If you have ever driven past a fire department, you may have noticed the large commercial garage doors. The demands of needing to exit their station quickly in case of emergency demand the use of a commercial garage door. More and more restaurants are adding commercial garage doors to their building to extend their dining room or allow for a nice breeze to be created during the summertime. Glass panel sectional garage doors allow the doors to close when the weather is unpleasant, and open when it is nice outside for patrons to enjoy open-air dining. Many retail stores often use loading docks to receive their times. Commercial garage doors are useful in moving goods from delivery trucks to the stock area of retail stores. Roll-up commercial garage doors are commonly used in retail loading dock locations for increased security and durability. 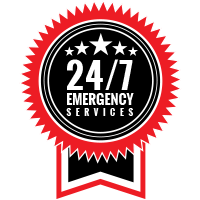 For all of your commercial and residential garage door installation and repair needs, look to the garage door experts at Garage Door Doctor. We can install new commercial garage doors or repair your existing garage door. If you are in need of commercial garage door replacement, we have top-of-the-line doors for your application. To learn more, contact us!